The law firm of Lankford Law Firm provides legal advice, services, and representation to Central Florida landlords and property managers who are overseeing rental properties. If you are a landlord with any legal questions or concerns about how federal and state law impacts you, or if you are already dealing with or anticipating a landlord-tenant dispute, speak right away with an experienced Daytona Beach rental lawyer. Florida law does not require landlords and tenants to have a lease agreement. However, landlords and tenants both have rights and responsibilities under the law even when those rights and responsibilities are not addressed in a lease. A lease functions to protect the rights and specify the obligations of both parties. By working with an experienced rental and real estate lawyer, you can take measures to protect yourself from litigation, lawsuits and other stressful and time-consuming legal troubles. The Daytona Beach property rental lawyers at the law firm of Lankford Law Firm help landlords and property management firms to draft and review the terms of leases, while also helping you to address any disputes and helping to ensure that you maintain full compliance with the law. 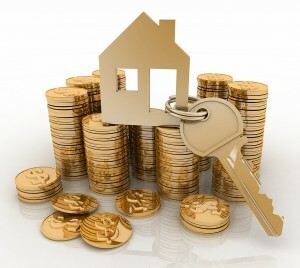 Our goal is to provide landlords with the maximum amount of legal protection. In fact, when dealing in real estate, lawyers can provide you with a significant advantage, helping you avoid potential problems and promptly addressing any issues that do happen to arise, thereby minimizing losses and maximizing profit. Residential and commercial leases should address security deposits, the amount of rent and the due date, the length of tenancy, subleasing and lease termination, amongst other issues. A Florida rental lawyer can also help you consider other provisions as well, ranging from whether pets or children are allowed in a residence, to negotiating the various provisions that are necessary for a commercial lease. When a landlord-tenant dispute arises, we can usually resolve the matter through out-of-court negotiation, helping you to avoid potentially costly and lengthy litigation proceedings. However, if a negotiated settlement is simply not an option for your unique situation, our real estate attorneys will not hesitate to represent you and your interests as we offer strategic and aggressive representation in a court of law. In Florida, the eviction process can be complex, although the timeframe tends to be a bit faster than what you may see in other states. If tenants fail to meet their responsibilities to a landlord — such as failure to pay rent or failure to adhere to the rules that were established in your contract, then you may move to evict. The Florida eviction process can take some time, but this is where you can see a significant advantage by working with an attorney who can help to guide you through the pre-eviction process in an expedient manner. Our law firm’s eviction lawyers can guide you through the eviction and enforcement process, while dramatically minimizing the amount of stress and hassle that you experience. Our goal is to eliminate stress for the property manager or property owner, while simultaneously shortening the timeframe that it takes to complete the eviction process. Common Questions: What is the Eviction Process in Florida? In Florida, eviction lawyers can help speed the process in many ways. From start to finish, an eviction can take anywhere from a couple weeks to a month or longer, depending upon how cooperative the tenant is. The first step is to provide your tenant with a formal notice, such as a notice of non-payment of rent, non-compliance or a notice of termination of tenancy. Your original rental or lease contract may specify how long you need to provide them by way of notice. Florida laws allow for as little as three business days of notice to pay rent or to face eviction, while in other cases, you may need to provide up to 15 days or longer. After you’ve put the tenant on notice, the landlord or property manager can move to file an eviction lawsuit with the county courthouse. Then, the clerk of courts will file a summons to the tenants. You typically will need to pay a fee to file the suit and to cover the costs of having the sheriff’s department or a third-party process server to serve the tenant with the summons. Some tenants will intentionally dodge the sheriff or process server so if this occurs and two attempts to serve the eviction paperwork are unsuccessful, the sheriff or process server is permitted to post the paperwork in an obvious, conspicuous location (like the front door). Once the tenant is served, they typically have a period of five business days to respond. If the tenants do not respond, the eviction is considered uncontested, and the process can proceed to a resolution in a prompt manner, with a judge issuing a final judgment on the matter that allows you to complete the eviction. If they respond to the notice and contest the proceedings, the matter may go to trial, adding anywhere from 2 weeks or longer to the process. Ultimately, you typically receive a writ of possession which is served to the tenant by the sheriff, providing them with 24 hours to vacate your property. Having an experienced Florida eviction lawyer working hard on your side can help shorten the timeframe associated with this process, while also minimizing both stress and financial losses. If you’re dealing with – or are anticipating – a landlord-tenant dispute now or in the future, get legal help at once from an experienced Daytona Beach rental lawyer. The law firm of Lankford Law Firm represents and serves landlords, property managers and businesses in Volusia County, along with other Central Florida locations, such as Brevard, Flagler, Orange, and Seminole counties. Attorney Melody Lankford provides a comfortable, friendly setting for clients and potential clients to discuss their business matters and their legal concerns. In fact, our legal team goes out of our way to provide clients like you with appointments that work for your busy schedule. We will even meet with you outside of typical business hours or we can come to your place of business for a discussion on your legal troubles. If you need help with a legal issue involving a landlord-tenant issue or eviction, Attorney Melody Lankford of the law firm of Lankford Law Firm is here to provide a free consultation on your case. Call today at (850) 264-7004. Se Habla Español.